Quaid boasts a legendary background. 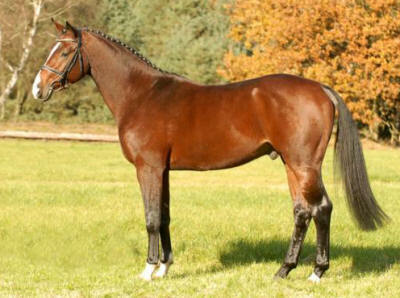 His sire Quidam's Rubin was a powerful jumper with multiple 10.0 scores and a 70 day test win. Also, his dam's sire Voltaire has been recognized for his Grand Prix show jumping career and Nations Cup class wins. In 2009 Quaid won the federal championships for 5 year olds.